BellaTEX Saddle Sandbags are useful to weight things down or to keep equipment from tipping over or blowing away. Usually they are filled with dry sand, but can also be filled with steel shot, rocks, or anything handy. 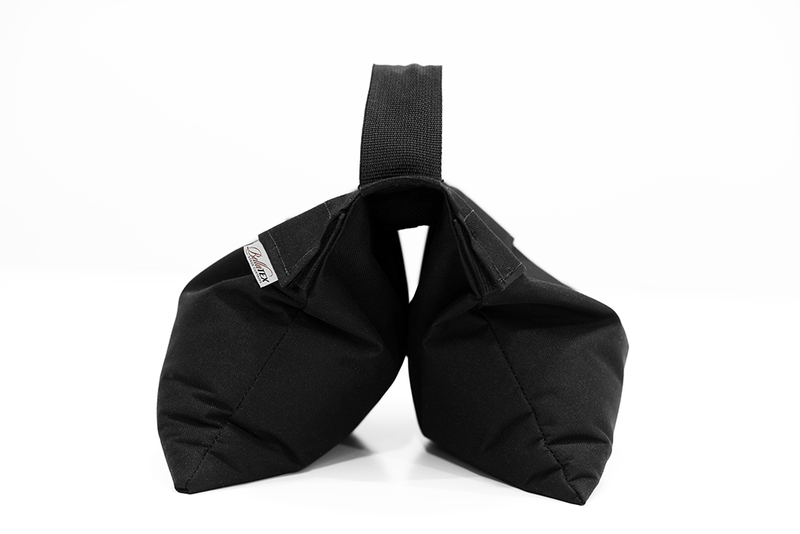 BellaTEX Saddle Sandbags are built to last. Our Sandbags are constructed with heavy-weight PVC-backed synthetic canvas and 2″ heavy-duty nylon webbing, and double-seamed with hi-tensile strength Anefil nylon thread. 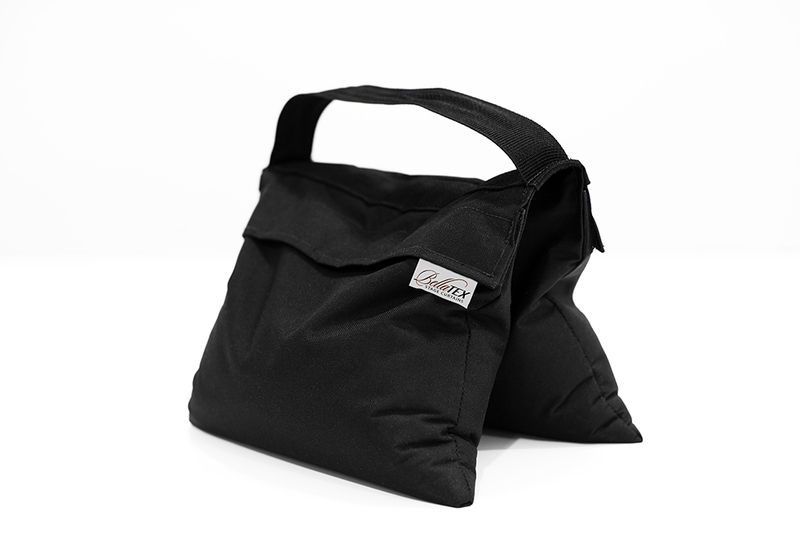 The 2″ industrial velcro closure allows them to be easily filled onsite without sewing, and keeps the sand securely inside. BellaTEX Sandbags can be dumped and refilled. This is especially important if you must ship your gear, or anytime you are trying to reduce gear weight while traveling. 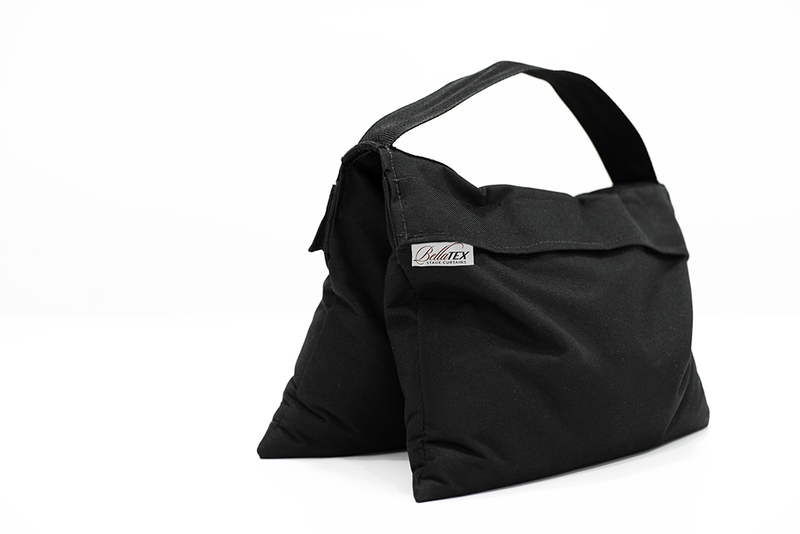 When purchased filled, the sand comes sealed inside a pair of heavy-weight canvas bags that slip inside the Saddlebag. With this method, the interior bags can be removed and put back in without dumping the sand. This also makes the Saddlebags extra-secure for really rough usage, or where a sand spill would be especially inconvenient. 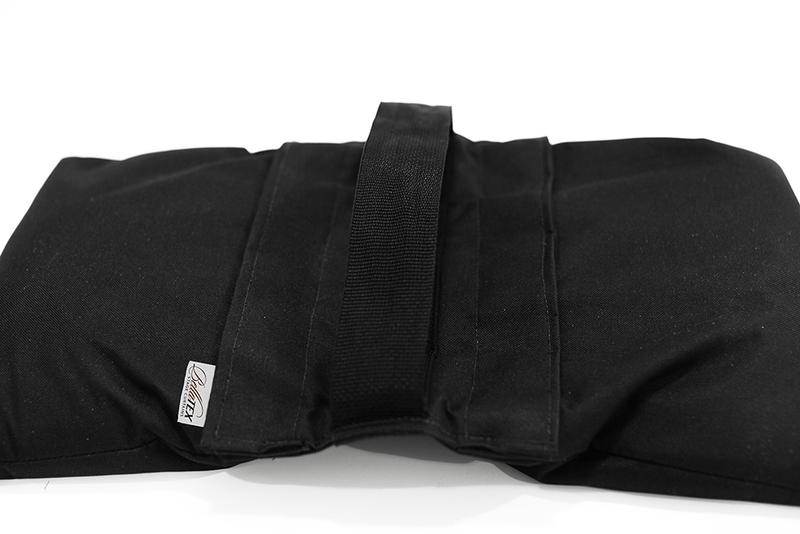 The standard Saddle Sandbag is black, but can be special-ordered in Bright Red, Navy Blue, Light Blue, and Forest Green. BellaTEX Saddle Sandbags are $35 MSRP if purchased unfilled (reduces shipping costs), or $65 MSRP if purchased filled with 25 lbs. of dry sanitized sand.